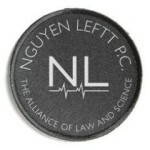 Nguyen Leftt, P.C. is a law firm designed to recover money for those significantly injured as the result of the negligence of another. In order to do so, we use all of the tools at our disposal, up to and including trial. We are there to help with people at the worst moments in their lives. But Nguyen Leftt, P.C. is more than a garden variety personal injury firm. We are constantly looking for ways to give back to the communities we serve. And that means also standing by people during their triumphs and encouraging a healthy and competitive athletic lifestyle. We are proud to sponsor a number of athletes in a variety of athletic contests, all of them important to our community. While mixed martial arts is evermore popular, at the root of that competition is the sport of Brazilian Jiu Jitsu. A physical competition with intense mental components, it is often called Human Chess. Bernardo Faria represents the Nguyen Leftt ideals of diligence, humility, and excellence as the current champion of the World as both a heavy weight and in the open class. Featured below is a photograph of Bernardo celebrating his winning the World Championship in 2015 displaying the Nguyen Leftt, P.C. patch. Mr. Leftt is honored to call Bernardo a friend and coach, alongside Paul Schreiner at the elite Marcelo Garcia Academy in New York City. Soccer, more commonly known as “football” outside the United States, is the most popular sport in the world. Nguyen Leftt P.C. is proud to sponsor a number of teams that compete in the Pottal Fi Banthal Soccer Tournament among the West African community we proudly serve. Featured below are photographs of the football event and the teams wearing our jerseys. H.Q. has obtained giant settlements for severely injured members of the West African community. Dragon Boat races during the Hong Kong Dragon Boat Festival in New York began as a small competition that has grown to involve hundreds of teams competing against each other. Nguyen Leftt is a proud sponsor of the Fire Department New York’s Emergency Medical Service Ice Dragon Boat Team. The female team won the silver medal in 2015!!! Past results do not guarantee future outcomes.